The City Law School has pioneered interactive, small group advocacy training. The School's Advocacy manual, published by Oxford University Press, is world-renowned. All of our advocacy trainers hold the Inns Advocacy Training Certificate. 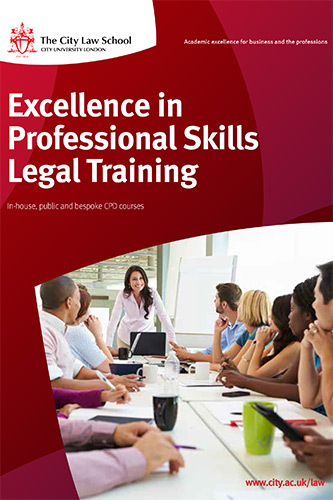 Whether you are a solicitor, business professional or a non-lawyer appearing in front of tribunals, for instance, we can deliver bespoke advocacy training for you.